is honored on Panel 50W, Line 42 of the Vietnam Veterans Memorial. Glenn, Thank you just isn't enough for the ultimate sacrifice you had to give for our freedom! Your CHHS Redskins will never forget you! You would be so proud of your sister Barbara. She is a wonderful Mother, Grandmother, and Friend, and she speaks of you often! 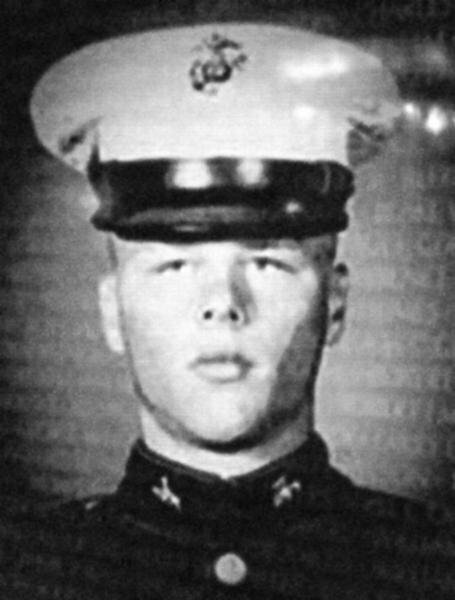 Sergeant Glen Ray Hicks, Served with Company E, 1st Reconnaissance Battalion, 1st Marine Division, Third Marine Amphibious Force. Photo and artwork courtesy of the late Neil Wilson.